The dreaming spires of Oxford add to the charm of any visit to this old historical University town. 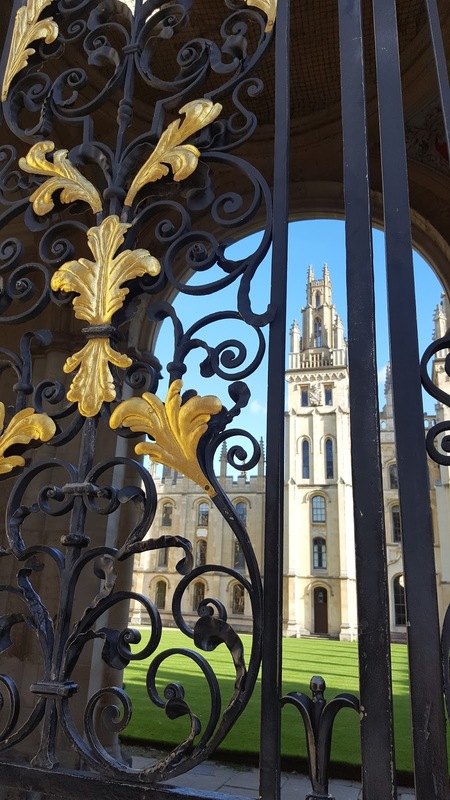 With its 39 colleges, shops, restaurants and museums, coupled with a fabulous history, there is always something exciting to discover. 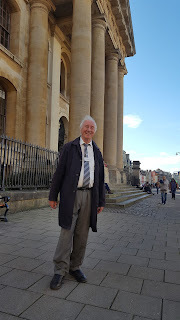 On this trip, my Niece and I went on a fantastic "Inklings" walking tour around Oxford, discovering the haunts of J.R.R. Tolkein, C.S. Lewis and other Inklings members. 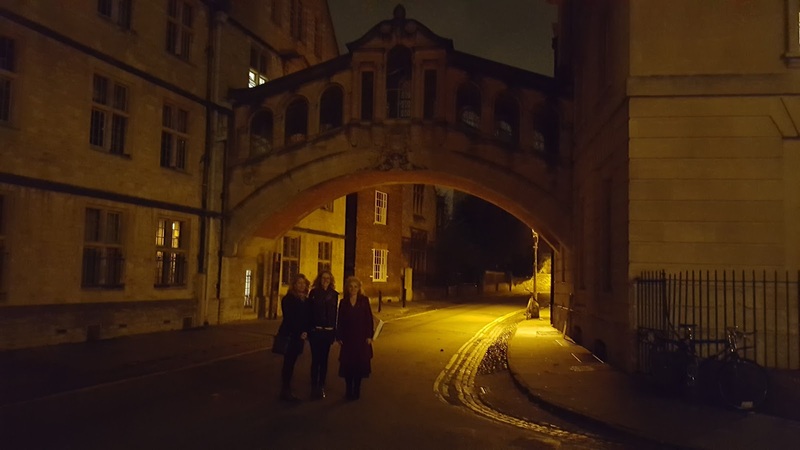 In addition we learned much more about Oxford's rich history. 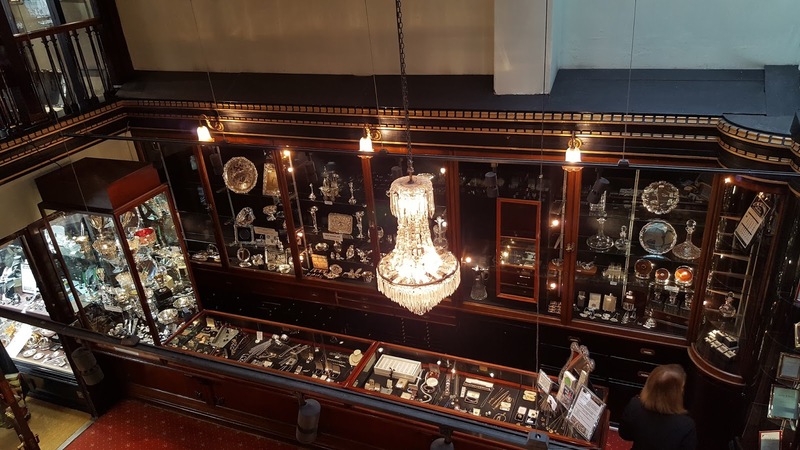 Blackwells Book Shop, dating back to 1879, sponsors a variety of literary themed tours from Spring to Autumn - including this one. They are well worth the hour+ with Peter Berry who has been leading these specialized walks for over 19 years now. 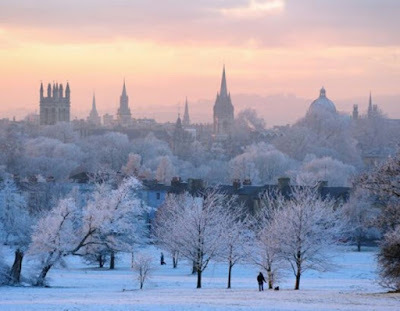 A special Holiday Walking Tour: Blackwells, with Peter as the guide, are running a "Christmas Walking Tour of Oxford". The tours run from 14th of November through December 15th. Enjoy! 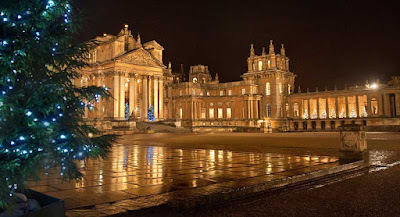 A short drive from Oxford is the magnificent Blenheim Palace - birthplace of Winston Churchill and to me one of the finest palaces in all of Europe. 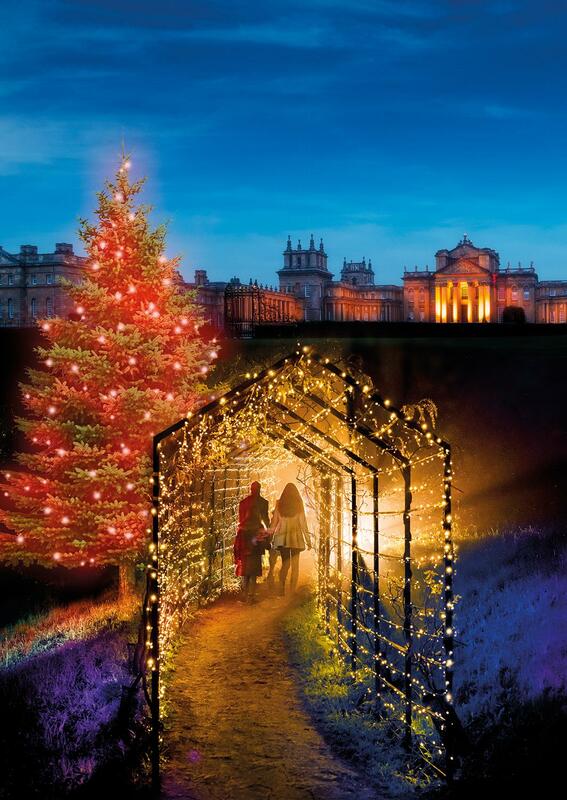 The palace and grounds are well worth a visit at any time of the year, however, every holiday season, Blenheim embraces Christmas like no other. 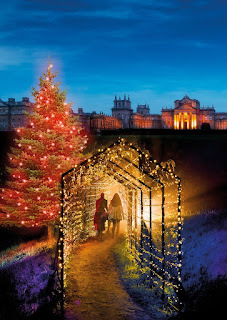 They turn their formal gardens into an evening wonderland of lights and fantasy, with an hour long walking trail of lights to mesmerize and enchant. To make the perfect outing, I would make a day and evening outing out of your visit. 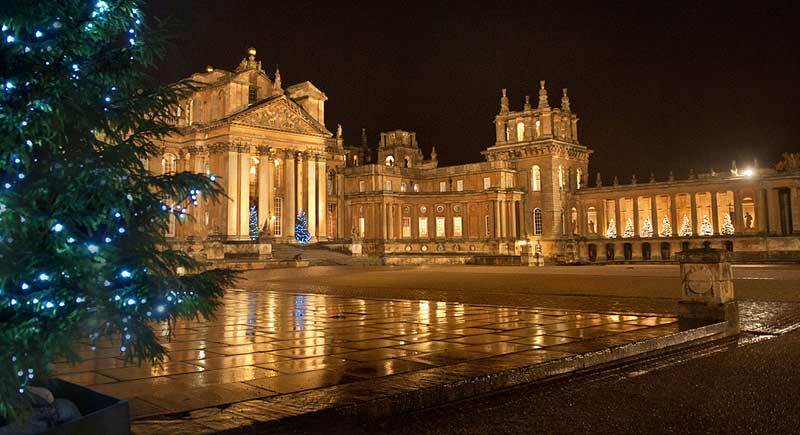 Visit the Plalace during the day, then make an evening of the special Christmas lights in the gardens. 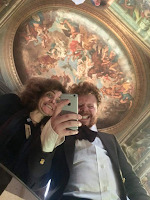 My good friend Katharine Nathan is in fact one of the superb guides at Blenheim. So if you go, ask for her and tell her "Mary Dawn" sent you! She is also their French and German guide, so if you'd prefer to hear the tour in one of those languages, do not hesitate to ask. Well, none other than my cozy Victorian home in the Divinity Road! Since I acquired my home almost a year ago, I have delighted in adding my own personal touches to make it a very special, warm and inviting place to reside whilst visiting Oxford and the surrounding areas, to include London and the quaint Cotswolds. I have so many more suggestions of things to do in Oxford, but have run out of room on this BLOG post. 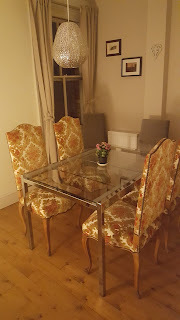 Feel free to check out other BLOG posts of mine featuring Oxford or EMAIL me with questions or for more of my suggestions. I love sharing my favs with my fans! 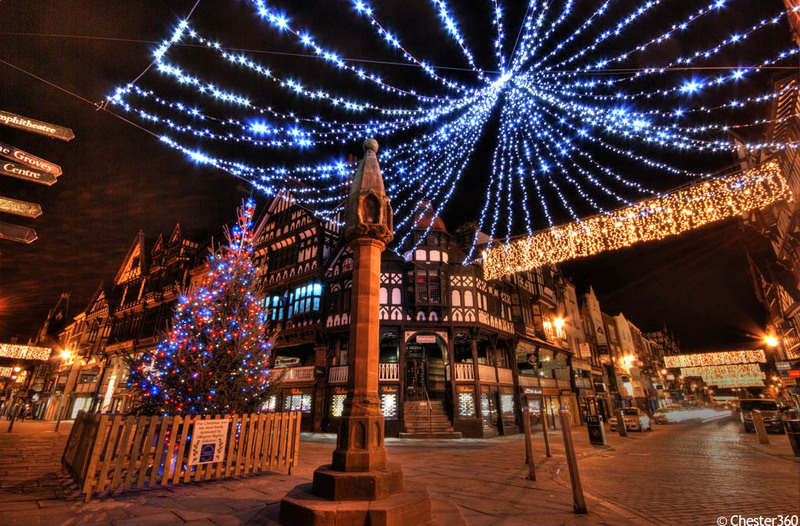 Charming Chester with it's still in tact Roman built city wall, its breathtaking Cathedral and it's stunning Tudor architecture throughout is one of my favourite medieval towns to visit - especially at Christmas time! 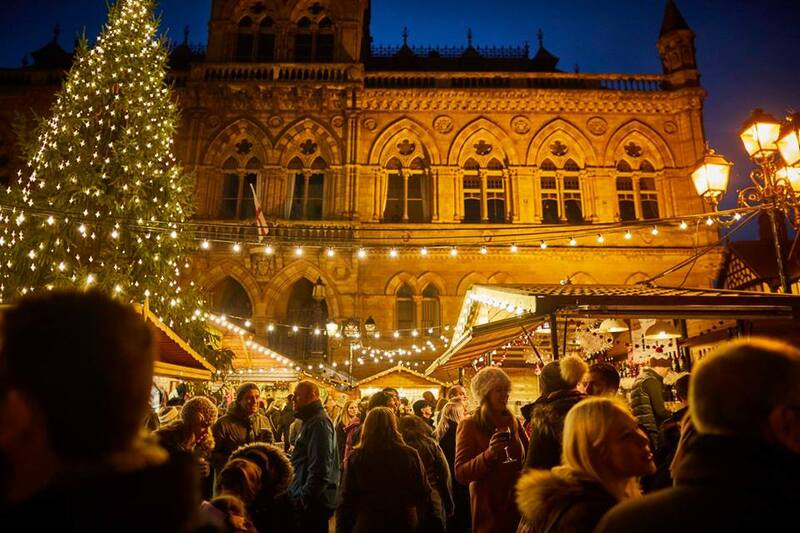 70 wooden chalet stalls nestled next to the magnificent 11th century Cathedral reminisce of markets which have taken place in Chester for centuries. Loose yourself in the enchantment of in the glowing lights of the Cathedral lording over this market treasure and revel in the smells of warm mulled wine (or as the Germans call it Glühwein) and roasting chestnuts. 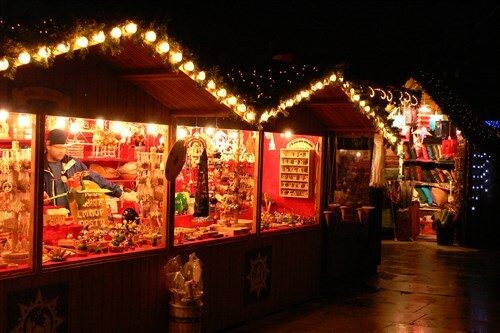 Wander around the quaint stalls to find that perfect holiday gift for a loved one. 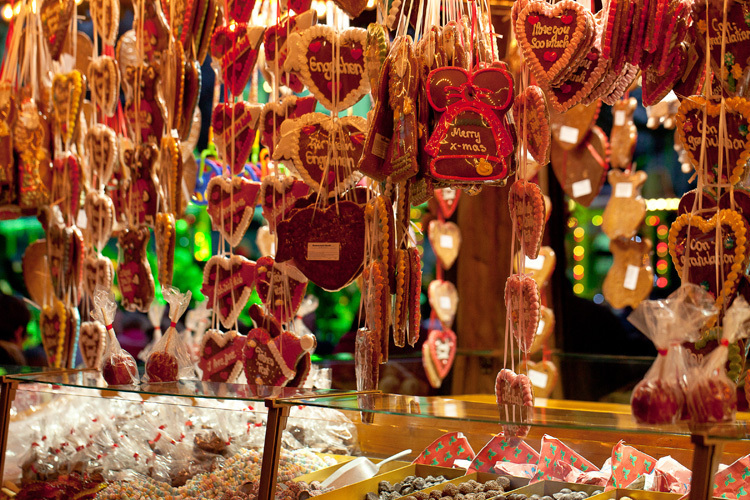 The charm and ambiance of this olde world look and feel market is not to be missed. Chester is one of the few remaining English Cities with it's fortifying city wall still in tact. And no wonder! It was built by the Romans almost 2000 years ago! The complete walk is about 2 miles, however the walk can be done in sections - one of which goes right next to the Cathedral grounds and by the town clock tower in the City Centre. Treat yourself to an Afternoon Tea or special holiday dinner at the luxurious Grosvenor - Chester's most famous hotel. On my most recent trip back, my niece, Nicole, on her first trip to England had never experienced an afternoon tea before. 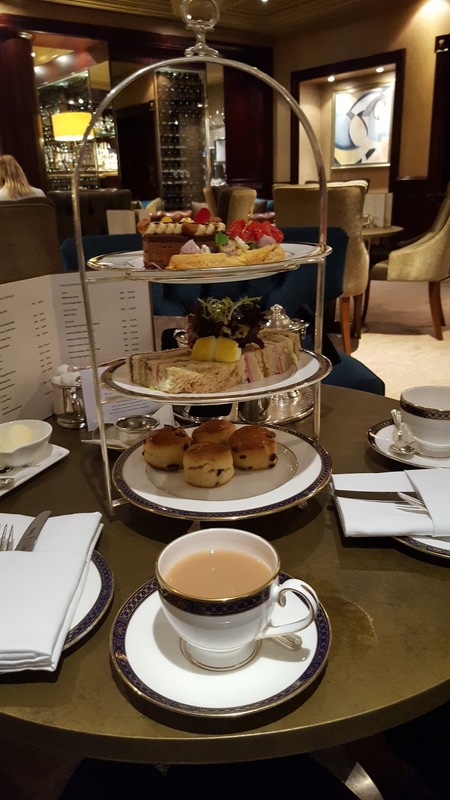 So, I decided to spoil her rotten and booked us in for one of its famous Afternoon Teas - complete with scones, finger sandwiches and scrumptious pastries and cakes made fresh daily. The Grosvenor has a rich history - in fact, there has been an Inn on this site since the 16th Century, although the current building dates back to 1865. So if you are in the festive holiday spirit - treat yourself to an afternoon delight not to be forgotten at the Grosvenor. Keeping to true form since its medieval days of hosting a daily market, Chester in modern day times hosts a myriad of shops - from old to new. One of my favourites is the antique silver smith and jeweler LOWE & SONS. 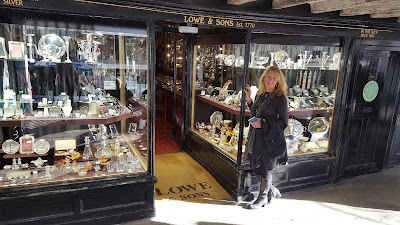 Established in 1770, they are the oldest jeweler in Chester and the third oldest in England. 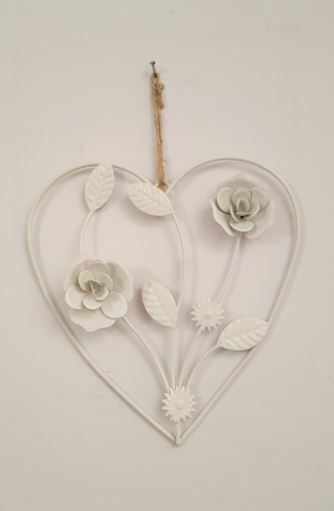 I have a dear English friend, who recently passed away, who would gift me the most beautiful pieces from this shop over the years. Each gift is carefully packaged in a "Tiffany" looking box with bow to make the gift even more special. as well as their rarity." In my friend's honour, I paid a visit to Lowe & Sons and was greatly impressed. They have a museum upstairs which is fascinating to visit. Indeed, one of the relatives of Lowe was one of the famous officers on the Titanic - Officer Harold Lowe - who saved many lives and who himself. They have also been commissioned for centuries to make the Silver Cups for the Chester Race Course - England's oldest race track dating back to the early 16th Century. Lowe & Sons is located on the medieval upper walkway called the Chester Rows. 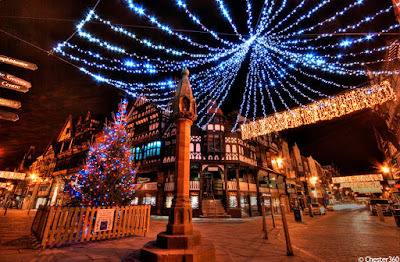 The Rows are unique and nothing the same exists anywhere else in the world - another reason to go shopping in Chester! 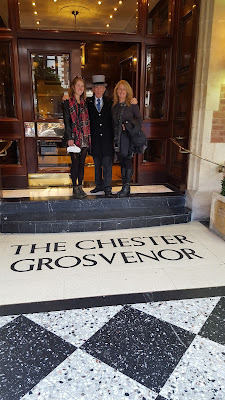 If one wishes to treat themselves to the very finest for the holiday visit (and who can afford it), I would highly recommend staying at the Grosvenor Hotel which is situated in the heart of the city and hosts those amazing Afternoon Teas as described above. 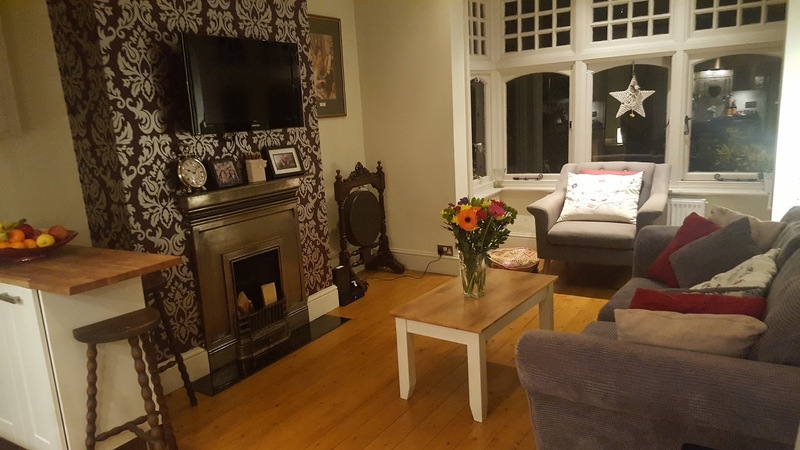 For those more on a budget, as we were on this trip, I booked my niece and I a cute two bed cottage tucked away in a quiet Mew (or small back street alley) - yet only a few minutes walk to the Chester Clock Tower and the bustling downtown. It was perfect as it also offered free parking which is hard to find in downtown Chester. 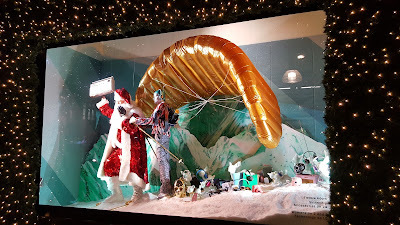 I have so many more suggestions of things to do in Chester, but have run out of room on this BLOG post. Feel free to check out other BLOG posts of mine about Chester or EMAIL me with questions or for more of my suggestions. I love sharing my favs with my fans! 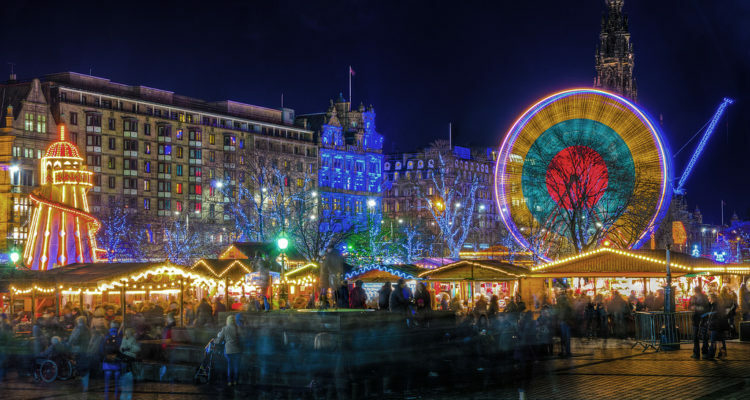 Edinburgh - stronghold of the North and one of my favourite cities in the world. With it's magnificent castle perched high-up on the volcanic rock, it lords over the city below and dominates the night sky with its majesty for miles around. 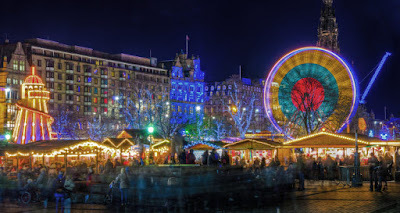 In my recent visit to Edinburgh, I was surprised to find out that they have their very own spectacular Christmas market - in fact they have TWO! The one I discovered is nestled beneath the castle in East Princess St Gardens. They not only have quaint wooden huts selling crafts and wares, however they have built a whole theme park, including rides and a Ferris Wheel to entertain. 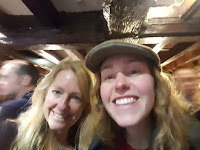 Besides visiting the Castle (a MUST when in Edinburgh), and walking (and shopping) up and down the Royal Mile, - not to forget sampling Haggis and Scottish beverages in the many pubs along the way, my niece, Nicole, and I decided to try out an evening haunted walk. We chose to do it up royally and booked the "Double Dead" double feature haunted walk which takes one into the super scary haunted vaults under the city and ends up in the Covenanter's Prison in the Greyfriar's Graveyard. 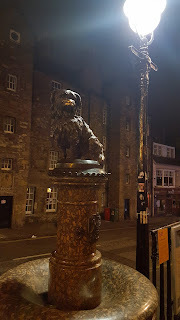 It was a full moon night and well worth it to learn about and see "the darker side" of Edinburgh. Our guide was fantastic and left us all with shivers. I have so many more suggestions of things to do in Edinburgh, but have run out of room on this BLOG post. Feel free to EMAIL me with questions or for more of my suggestions. I love sharing my favs with my fans! Enjoy your next trip to England or Scotland! 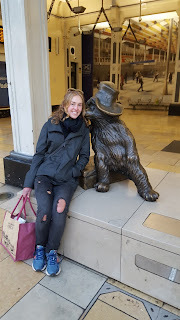 Please don't hesitate to contact me with any questions when planning your own trip to England, Scotland, Ireland, Switzerland, Austria or Bavaria! After living in and travelling to Europe for almost 30 years, I love to help plan and recommend as and when I can! 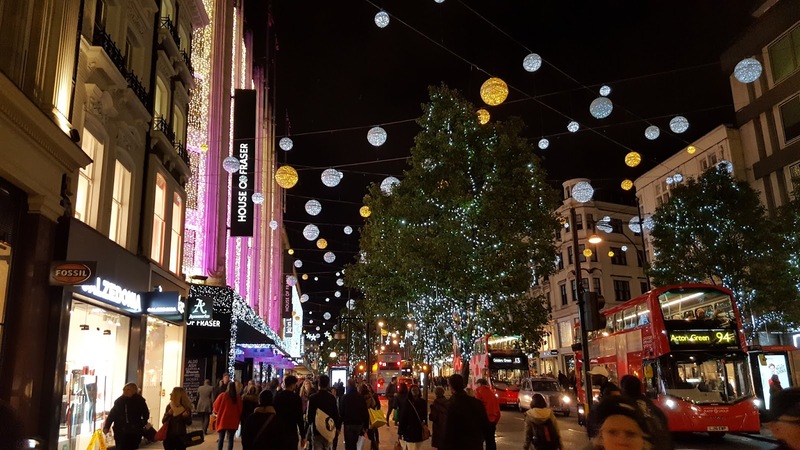 One of my favourite streets to walk down during the holiday period is the famed Oxford Street in London. but how I LOVE how the high-end department stores go all out decorating their buildings. In addition, their lavish window displays are a work of art in themselves. Just off of Oxford Street is the iconic Carnaby St - birthplace of Swinging London in the 60's and supporting all sorts of street saavy fashion and culture ever since. 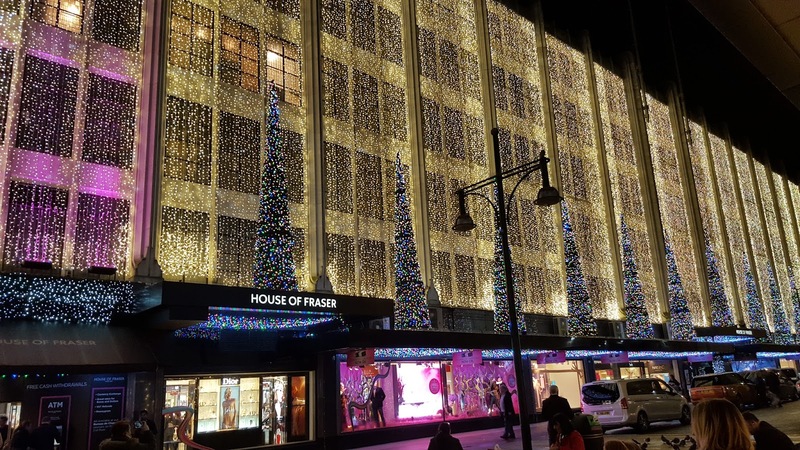 "the epicentre of culture and lifestyle in London’s West End." I remember shopping there when I was a student back in the 80's and bought myself a super cool hat, which I still have today. 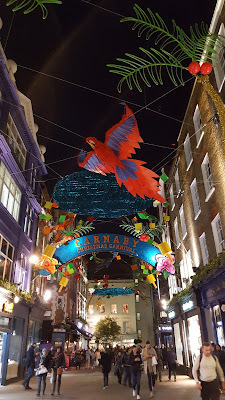 Carnaby St has not changed that much from then apart from setting the latest trends of cool "street" fashion in London. Definitely worth a visit! 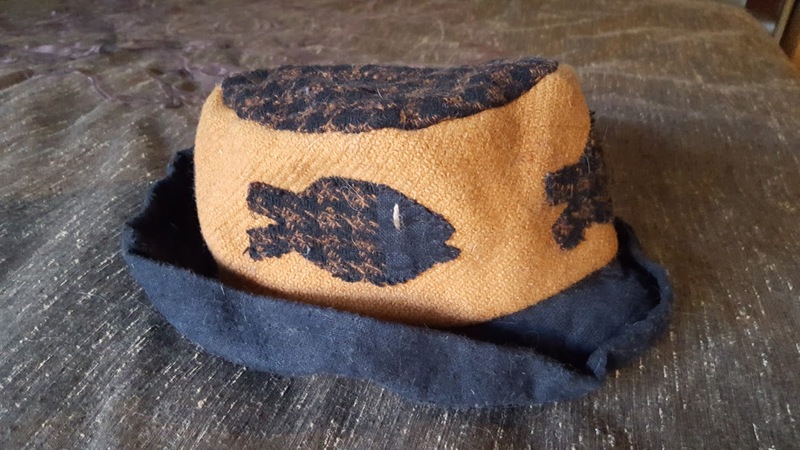 My own hat purchased back in the '80's in Carnaby St! Just as I was strolling through my beloved Hyde Park only a few weeks ago, I came across the largest project I had ever seen erected there. I stopped to ask a worker and he told me that they were setting up the Hyde Park Winter Wonderland. Beginning as a humble outdoor German style Christmas market 10 years ago, it has now grown into a full blown holiday amusement park with the original Christmas market remaining, but having expanded to include over a hundred attractions such as rides, Nordic Ice and Alpine style Hütte bars, food stalls, ice skating, live music, shows and even a circus. 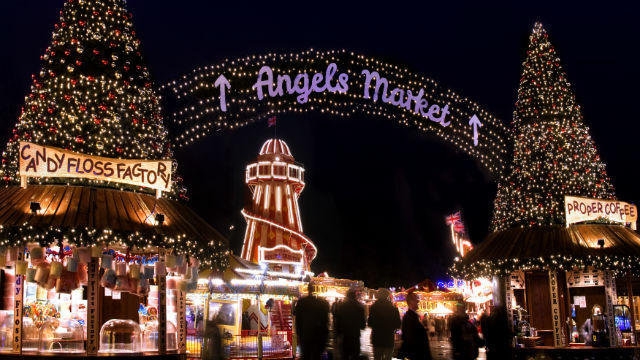 It is free to enter, however some of the shows and attractions do require admission. 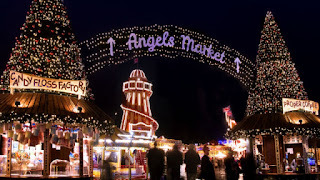 So if in London, it is worth a "bummel" (German for stroll) through Hyde Park to check it out. 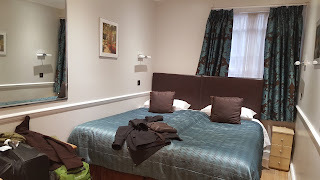 I absolutely adore the quaint RHODES HOTEL in Sussex Gardens, a newly refurbished, clean and reasonable hotel not far from Paddington Station and a short walk to Hyde Park (and the Winter Wonderland) or a 15 minute walk to Marble Arch and the start of festive Oxford St. The Rhodes hotel is also close Tube stations and Busses awaiting to whisk you all over London. 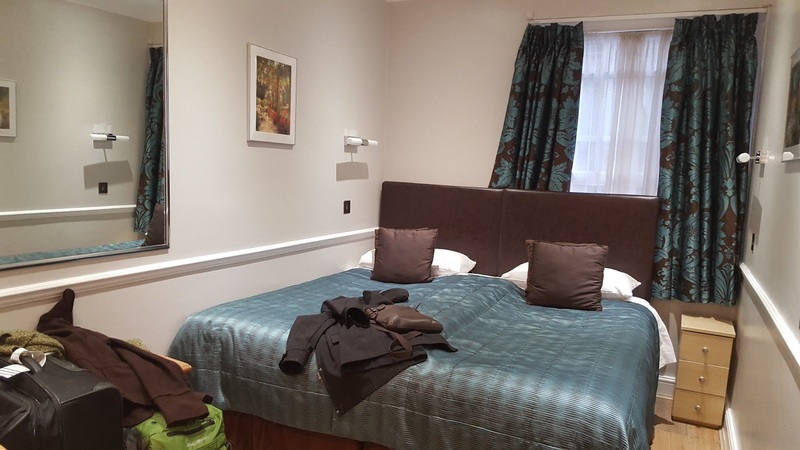 It is my repeat favourite every time I return for many reasons, to include: clean refurbished rooms, a super location, easy access from Heathrow via the Heathrow Express and Paddington Station, and the staff are kind and accommodating. Check out their specials directly on their web-site where you will get the best rates. They also give repeat visitors appreciation vouchers towards future visits! 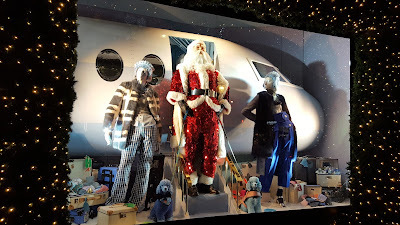 I have so many more suggestions of things to do in London, but have run out of room on this BLOG post. 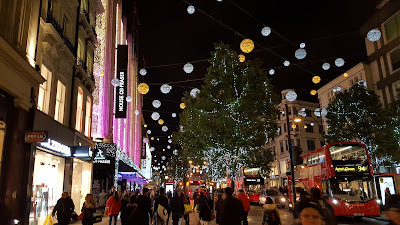 Feel free to check out other Blog Posts of mine featuring London or EMAIL me with questions or for more suggestions on any aspect of your trip to London. I love sharing my favs with my fans!